We hear a lot of talk about what 9 out of 10 dentists agree upon in advertisements and other branding messages that we get bombarded with on a daily basis, but what do dentists really want you to do when you aren’t sitting in their examination chair? The secret to keeping your smile bright and beautiful doesn’t lie in a miracle product or solely on one thing or another; there is no short cut to keeping up on your oral health, but rather a set of specific behaviors that give you a much better chance at keeping your teeth healthy and attractive throughout your life. By simply implementing the advice below, you’ll gain much more control of your oral health habits for years to come! There are a few vices that have an especially damaging effect on the ecosystem that lives within your mouth. Especially damaging examples include smoking, chewing gum with added sugar, crunching ice cubes, and consuming especially acidic and/or sugary foods and beverages. These vices may seem slight or relatively unrelated from teeth, but all of them have the ability to stain, damage, and even infect your teeth with cavities and worse. Smoking is bad for your mouth in a number of ways and should just be stopped altogether; the other offenders primarily center around the bacteria-inducing and enamel-destroying properties of acid, sugar, and cold temperatures. By removing or reducing your bad behaviors, even simply changing to sugar-free gum, for instance, can have a huge impact on your dental checkups. By now, just about everyone knows the alleged importance of brushing twice everyday. It’s become a common lecture for parents to grab hold of, a routine for many, and a completely misunderstood principle for just about all. While most of us know to brush twice daily (and even do it with varying results), almost no brushers know why dentists suggest you build this into your habits. 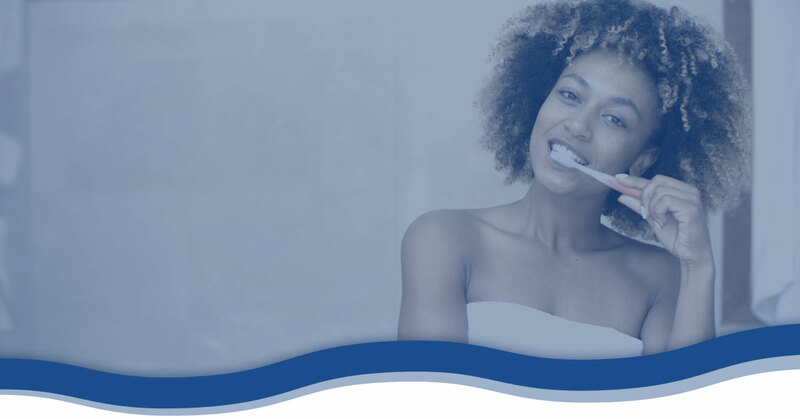 Beyond simply brushing twice, once in the morning and again at night, it is important to know why dentists recommend this so that you can ensure you’re actually doing it correctly. This principle is best understood once we accept that saliva does a whole lot more than simply keep your tongue wet and slide food down your throat, it also has tremendous bacteria-fighting properties and even serves as a sort of toothpaste and dental floss. How does this connect to brushing twice daily? Simply put, saliva production is all but nonexistent during sleeping hours. This means that your teeth, which are usually somewhat protected by saliva, are left almost entirely vulnerable to bacteria while you sleep. Obviously, this is the reason why you should brush just before bed, as the fluoride serves to protect your teeth while you sleep. But why first thing in the morning? Well, when you first wake up, it takes time for saliva to get up and running; if you eat and drink before brushing first thing in the morning, you are putting your teeth and gums at risk by throwing off the acidity balance in your mouth. Basically, it is crucial that your teeth are protected throughout your sleep by a late-night brushing and then again fortified by a pre-breakfast brush, which sets your saliva up for success throughout the day. Beyond these two basics, there really isn’t much else that everyone should be doing, but instead specific pointers and suggestions that your dentist and their staff can recommend for your oral health care. This means that the final important piece to remember outside of your dentist’s office is to schedule and attend your next regular check-up – and ensure that the rest of the family follows suit. From there, you simply need to keep up on the maintenance your dentist recommends and you’ll be doing all you can! Contact Balboa Victory Dental Office for general dentistry services for the entire family in the Encino and Lake Balboa area. Our dentist is able to accept patients that speak English, French, and Spanish, plus our office is proud to accept most major insurances and partner with Denti-Cal. Reach out to our friendly staff today to learn more or schedule your appointment!